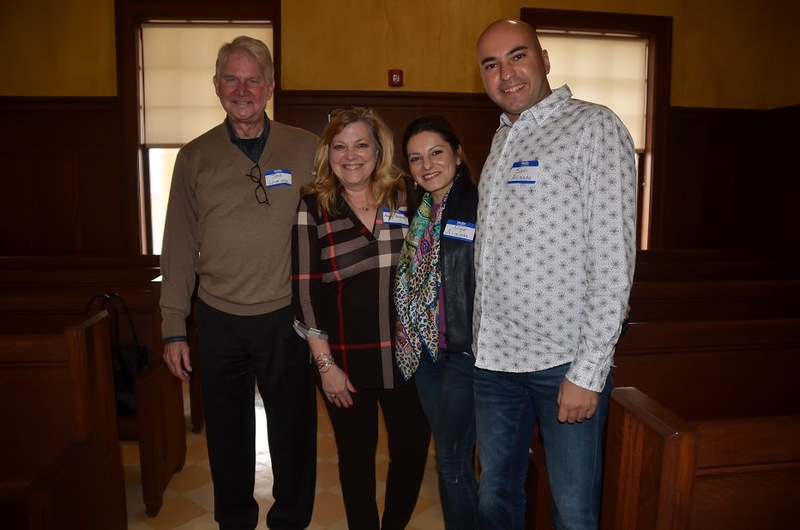 The Linden Heritage Foundation met on January 14, 2017 at 2:00 p.m. in the Courtroom of the Historic Cass County Courthouse in Linden, Texas. 30 members and 7 guests were present and in attendance when Mr. Higdon called the meeting to order. The first agenda item was the report of the Nominating Committee comprised of Jeanie Stevens, Wanda Burns and Sandra Westbrook Skoog. Ms. Burns proposed the committee’s selection of 5 names as a slate to replace the expired terms of 5 Directors. Mr. Higdon asked for additional nominations from the floor, and upon receiving none, the quorum present voted. 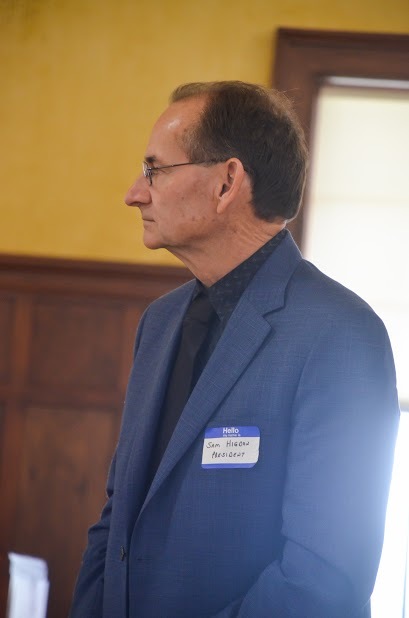 Unanimously elected for three (3) year terms to the Linden Heritage Foundation Board of Directors were: Jana Clinkscales Bounds, John Knapp, Ron Calhoun, Joe B. Lovelace and Sandra Westbrook Skoog. Following the election of the Directors, Jana Clinkscales Bounds, presented the financial report for the Foundation. The Foundation began the FY2016 with a fund balance of 19,316.91. At the end of FY2016 the fund balance was $26,928.01 with $7,473.52 being restricted for the Firehouse Project. Upon acceptance of the financial report, Mr. Higdon called upon Sue Lazara to report on Foundation activities. Ms. Lazara provided a handout of recent achievements including updates on the Firehouse Restoration Project, Texas Preservation Trust Fund Grant, Linden’s successfully qualifying as a 2017 Texas Main Street (a recognition bestowed by the Texas Historical Commission), and major research to justify State Antiquities Landmark (SAL) status for Linden’s 1856 Dungeon with Iron Cage, part of the first Cass County Jail; similarly, justifying SAL status for the 1856 Old Veal Brickworks, which used slave labor to produce local brick for the 1856 county Jail, the 1861 Cass County Courthouse and other early buildings in the town. Ms. Lazara also provided members present an opportunity to join a committee by distributing a Linden Heritage Foundation Sign-Up Sheet. Official minutes of the meeting will be posted to the Documents section of the Website once approved. A reception was held for all at the close of the Annual Membership meeting. 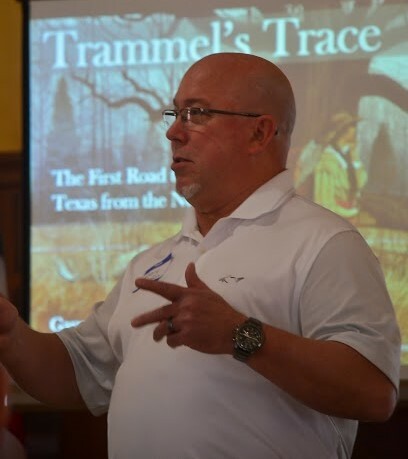 Following the reception 52 (members and guest) enjoyed a presentation by Gary Pinkerton about his new book, Trammel’s Trace: The First Road to Texas from the North. It offered a glimpse at Trammel’s Trace as a ‘smuggler’s back alley’ into Northeast Texas. The path of Trammel’s’ Trace across Cass County is documented, both in the original headright surveys and with the support of fellow “rut nuts” who have a significant amount of reconnaissance on the ground with landowners. It entered Cass County at Epperson’s Ferry on the Sulphur River and exited the County just West of Avinger, TX. More information about the book and this historic road is available at trammelstrace.org. Mr. Higdon announced a Clean-Up Day at the Old Macedonia Cemetery (located on the west side of the Linden Cemetery) for Saturday, February 18, 2017 from 8 a.m. to 2 p.m. and invited all to attend. Food and refreshments will be provided. Sounds like the meeting went well and was very informative. I could not attend as I had committed to a performance in Conroe, TX, which was a fundraiser for Rett Syndrome, a rare and deadly disease that strikes young girls who usually die from it by the age of 16. This was the third fundraiser for this disease, headed up by Kevin Black, Clint’s brother, and Clint is the official spokesperson for this effort. Kevin’s daughter was a victim of this disease, passing a just 16. They have published a gorgeous coffee table book of famous music artists on stage “raising a hand,” from which the title of the book got its name “Raising A Hand for Rett Syndrome.” The artists participating in the book range from Paul McCartney on down. It is an amazing picture book. Amongst the artists that made the cover were, of course, Linden’s own Don Henley with his late partner, Glenn Frey. I ended up on page 38 facing Jackson Browne, whom I told about the project and facilitated a photo session for the photographer at one of Jackson’s shows in Baltimore. I also got J.D. Souther in on the project. We had the photographer/partner, Dave Clements, come up from Conroe when J.D. was last at Music City Texas. I’d really appreciate it and so would the organizers, if you’d check out http://www.raisingahand.com and learn more about it. The book is only $35.00 and I guarantee it will blow your mind. I hope to be at the next Heritage meeting. I really appreciate what everyone in the organization is doing for the town and I hope to help out in any way I can.